Slice ciabatta rolls in half. Generously drizzle each half with balsamic vinegar. 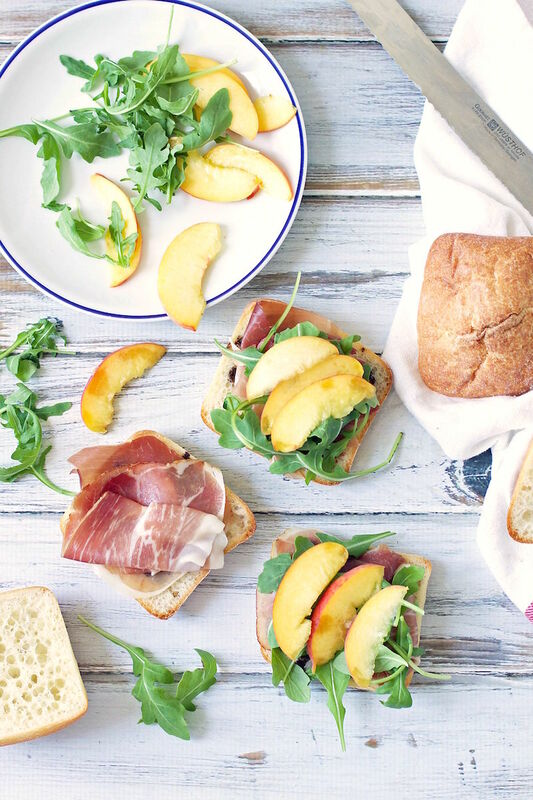 Layer on peach slices, prosciutto and arugula, then finish off with some goat cheese. Slice and serve. These can be made up ahead of time (although I would say no more than 6 hours)...just wrap them in wax paper and store them in the refrigerator until you're ready to eat them. Leftovers will keep for 24 hours in the refrigerator. 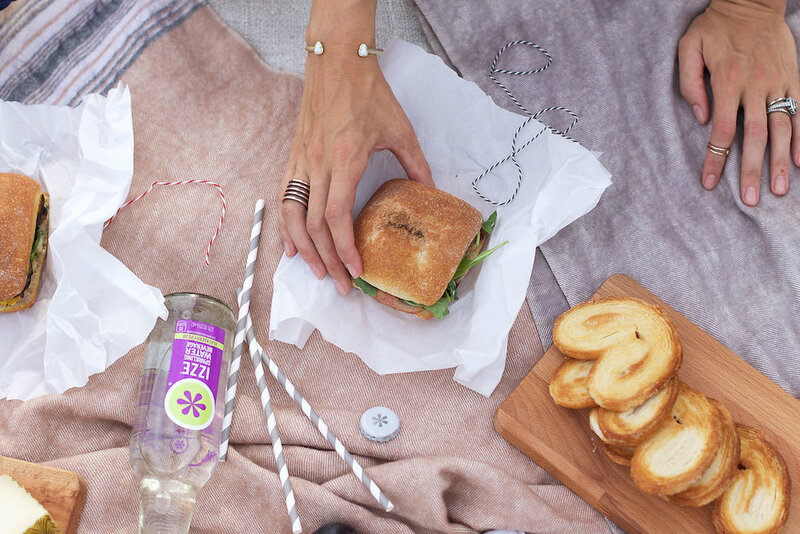 Slice the ciabatta rolls in half. Spread one side with humus and one side with artichoke (or other vegetable) spread. Layer on a few slices of grilled vegetables. Top with arugula and a sprinkling of fresh dill. Slice and serve. These can be eaten right away or made ahead of time (in fact, I thought the flavors tasted better after the sandwich sat in the fridge overnight)...just wrap them in wax paper and store them in the refrigerator until you're ready to eat them. Leftovers will keep for 24 hours in the refrigerator. To grill the vegetables, we simply sliced them thinly, brushed them with a little olive oil and then grilled them for about 5 minutes each side. If you don't have a grill, feel free to use an indoor grill pan, or roast them in the oven.